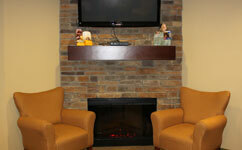 We are committed to providing gentle, quality dental care for patients of all ages. Whether you’re visiting us for a routine dental cleaning or a life-changing smile makeover, we promise to take great care of you. Dr. Khalil grew up in Akron, OH. After earning his dental degree from The Ohio State University College of Dentistry, he went on to a prestigious residency program at Miami Valley Hospital in Dayton. Porcelain Crowns in Just One Office Visit! With CEREC®, we can help you maintain and improve your smile more conveniently than ever before. This high-tech system allows us to create and place porcelain crowns in just ONE office visit. We offer oral conscious sedation and IV sedation, and every member of our team has a gentle touch. We want to help you get the treatment you need, just the way you need it. Welcome to Premier Family Dental! 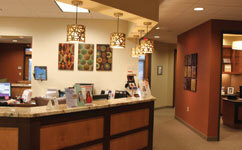 We look forward to welcoming you and your family to our beautiful, state-of-the-art dental office in Wadsworth, OH. Our philosophy at Premier Family Dental is not to pressure you into receiving expensive treatments you don’t want or need, but rather to get to know you and develop a customized treatment plan that fits your smile and your budget. We understand that most people are busy and don’t enjoy going to the dentist, so we strive to make your visits with us as comfortable, convenient, and relaxing as possible. We hope our website proves to be a useful tool to learn more about our practice, team, and dental services. 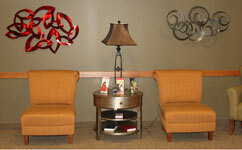 Please take a look around the site, and then call us with any questions or to schedule a convenient appointment. To get step-by-step directions from your location to our office, click on the "Directions" link above. For your convenience, we invite all new patients to download and complete our new patient forms to expedite the paperwork at your first visit. Adobe Acrobat Reader is needed to download these forms.